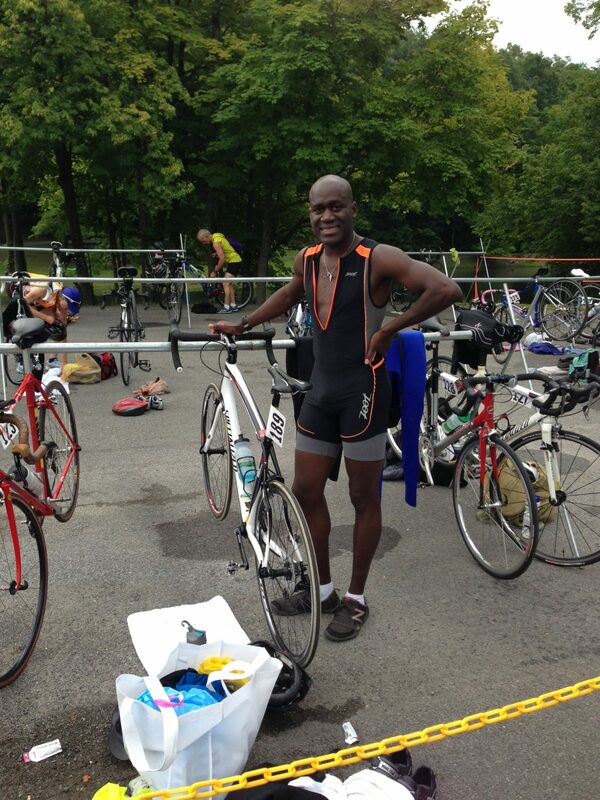 Greetings, my name is Teiko Aryee – Triathlon Ambassador! Your trusted advisor to health, wealth and the sport of Triathlon. I competed in my first triathlon in the summer of 2013 after the birth of my first child. I was young, in my early 30’s, however felt out of shape compared to my previous life experiences. That day helped start a chain of events that in 2018 lead to three generations of Triathletes in my family. 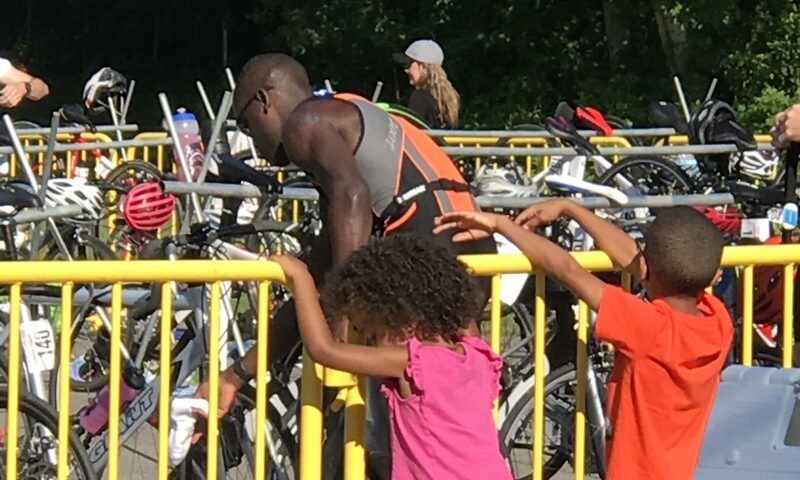 My mother, sister and niece have all competed in and enjoy the sport of Triathlon. Sports and athletics have always played a major role in my life. Starting with all day rumpuses, playing tag football or basketball with friends. Then later having the freedom to travel the community on my handed down bike from our cousins. My athletic life was further nurtured when I joined Track & Field in middle school. I would go on to compete at a national level, becoming a New York State High School Champion in the High Jump and Co-Captain of my collegiate Track & Field team at the University at Albany. After graduation, as many other collegiate athletes have experienced, I lost the structure that comes with being a student-athlete. 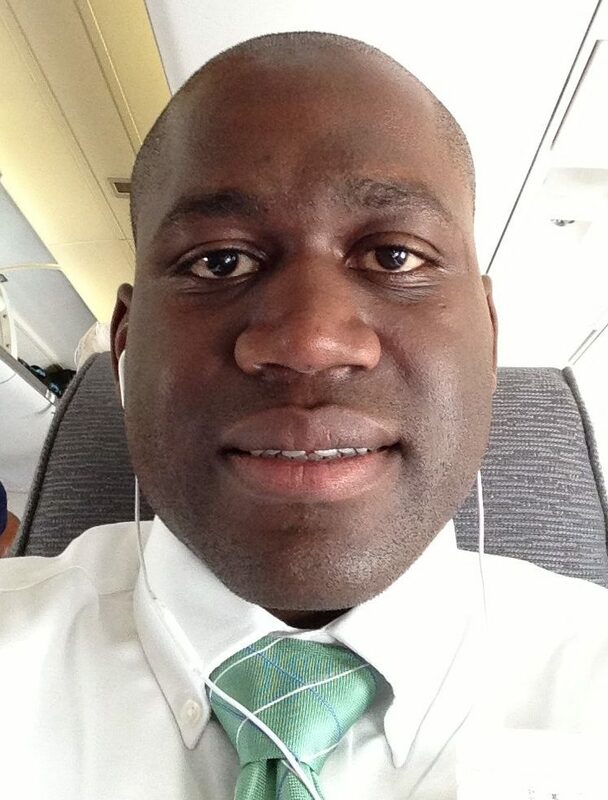 I began working full time at a Top 4 international accounting firm, Deloitte; and traded grueling workouts and classes for never ending conference calls and all nighters, finalizing reports for global financial firms. Flying in to save the day! By the spring of 2016, sports played little to no role in my life. I was relegated to watching either the New York Yankees or Giants dominate in glory or succumb to season ending defeats. But something was missing. I was no longer active, rather a passive fan of sports. I wanted to be on the filed, not watching from the stands. After this critical self assessment, I decided to change. I contacted Coach Mark Wilson, who is now my mentor, and during the summer of 2016, we embarked on a journey that would spark my sports comeback. A lifestyle change incorporating in the sport of Triathlon. I started Prism Dynamics LLC in the fall of 2018 after experiencing the Generational Impact the sport of Triathlon had on my family. However, 2018 is far from a beginning, rather a step in the journey to living a Triathlon Lifestyle. Having competed in sprint and olympic distance triathlons, I wanted to give back what I have learned along the way. Prism Dynamics affords me this opportunity. 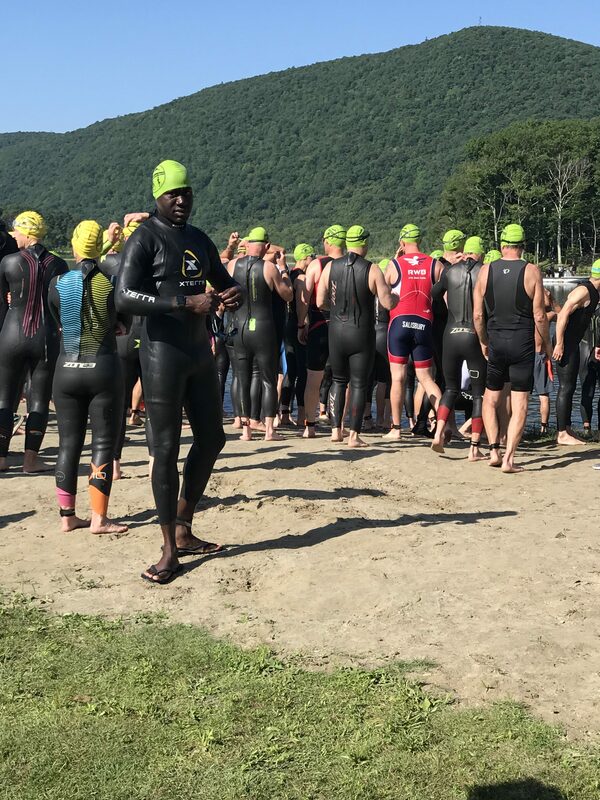 I can connect with those that do not know the sport of Triathlon or have competed in the past and are looking to take their training to the next level. CAUTION: Participating in the sport of triathlon with Teiko Aryee may cause radiant health and spiritual well-being. Flip flops off and then go!